Moon sextile Uranus in the natal chart gives an entertaining and lively nature. You stand out from the crowd and are comfortable being somewhat detached from the rest of society. You have a particularly strong need to be your own person but this independent streak does not seem to cause any upheaval in your personal life. You may have had an unusual relationship with your mother but still an enjoyable and stimulating one. Your early home life would also have been unorthodox in some way but the ideal setting for you to learn and develop in your own unique style. You appreciate your freedom to explore life and make the most of any opportunities. Your inventive and open-minded approach to life sets you up for many careers. You are particularly well suited to this rapidly changing modern world. The semi-detached personal connections made through the Internet especially favor you free-spirited nature. You may receive flashes of insight through meditation, dreams, or even in waking states. Go with your gut feeling especially for on the spot decisions. You will quickly learn how to make the most of you strong intuition and may even have psychic abilities. It is likely that any such gifts would be inherited through your mother’s side of the family but also through your paternal grand mother. In your career and in your personal life, you will need a certain amount of personal freedom to reach your potential. Conforming to routine and time constraints does not suit your style but you do have the ability to adapt to different circumstances. Anyway, you should find that any boring routine is fairly quickly broken up by change. You should enjoy a healthy social life and will attract eccentric types or people from different cultural and ethnic backgrounds than yourself. You may prefer to have a wide circle of friends to suit you changeable mood. Your behavior can also be changeable or odd in some ways, but never too threatening to scare off other people. Although you thrive on excitement and change, at some stage you will feel the urge to have a family. Commitment may be a challenge for you so it is important to find someone open-minded like yourself. You have a lot to offer as a parent of a little genius. Transiting Moon sextile Uranus brings stimulating personal encounters and exciting events. You will feel more open to change in your life and may actively seek it out. This is a good time for trying something new in your domestic routine or personal life. Your stronger than normal intuition can guide you in making quick decisions on which way to go. Follow your instincts and make the most of any opportunities that come your way. This is a good time to find original ways of doing things because of your inquisitive and inventive nature. You might receive flashes of insight to solve lingering problems in an instant. Your mood may be changeable and some of your behaviors will seem odd to others. However, you should feel comfortable expressing a unique side of your personality. The lowering of your inhibitions is what facilitates change and excitement in your life. This is also a good time to break old habits and replace them with something new. This interpretation for Moon sextile Uranus transit applies to a lunar eclipse and full moon sextile Uranus. Liam Payne 0°04′, King James II of England 0°17′, Tracy Austin 0°28′, Brutus de Villeroi 0°28′, Prince Charles of Wales 0°30′, Peter Sellers 0°32′, Rudolf Otto 0°32′, Ally Sheedy 0°33′, Igor Stravinsky 0°47′, Rosaleen Norton 0°51′, Paddy Ashdown 1°00′, Mel Gibson 1°02′, Robbie Coltrane 1°12′, Betty Friedan 1°20′, Jennifer Lopez 1°32′, Johnny Rotten 2°08′, Rudolf Hess 2°40′, Dr. Phil McGraw 2°47′. * how long do we feel the influence? 2 hours before and after, twice a month. I usually post these Moon aspects on the social sites a few hours before. How do you get these so accurate, Jamie!! When i read these aspects it’s like reading my autobiography 🙂 I have this one at 1’37” on natal. Thank you so much ! Question: When i have an aspect on my natal and then the same aspect transits on a particular day of the year, will it enhance the effect(good/bad) of that aspect for me during the transit? I take a couple of days to write each aspect and have breaks, meditate and do a bit or research into the celebrities. Yes, a transiting aspect highlights the same natal aspect even if it makes no direct link. 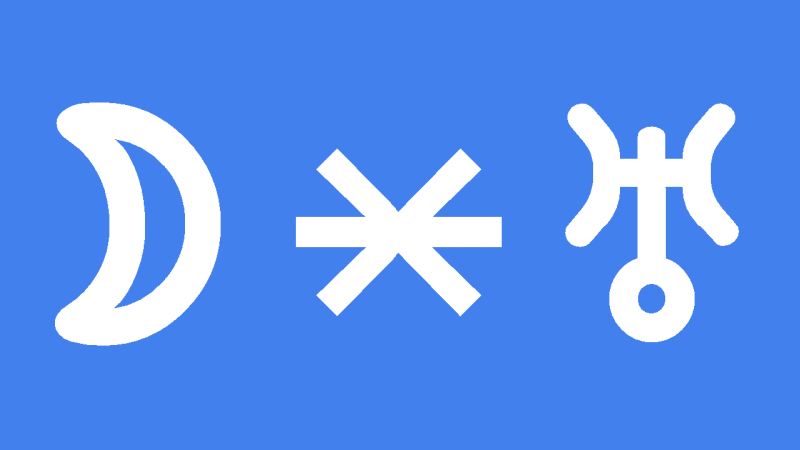 What does it mean when you have a Uranus sextile Uranus Transit?